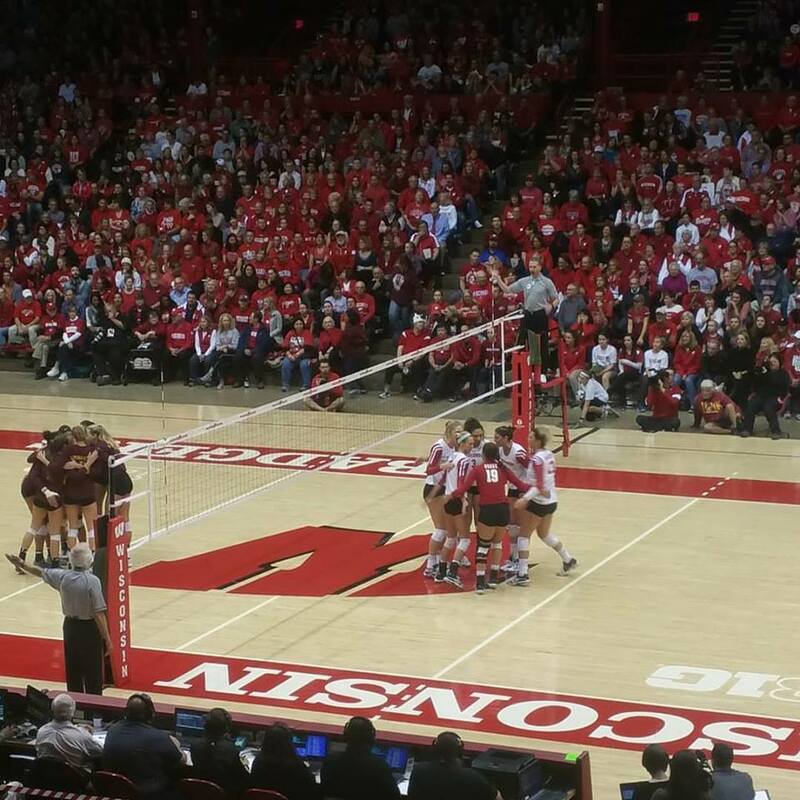 The fifth-ranked Wisconsin volleyball dropped its first Big Ten match of the season, falling to sixth-ranked Minnesota on Wednesday night in three sets, 25-17, 25-21, 25-15. Wisconsin (9-2 overall, 2-1 BIG) hit .221 (39-14-11) for the match but could not slow Minnesota (9-2, 3-0), who hit .386 (46-7-101). Sophomore Dana Rettke earned a team-best 12 kills while adding three digs, an ace and a block. Grace Loberg and Tionna Williams combined for three blocks as the Badgers earned a slight 4-3 advantage at the net. Libero Tiffany Clark earned a match-high 16 digs in tonight’s effort. Minnesota out dug UW, 50-41. The Badgers are back on the road this weekend, traveling to West Lafayette, Indiana, on Saturday for a 6 p.m. match against Purdue. The eighth-ranked Wisconsin volleyball team captured the HotelRED Invitational after knocking off High Point Sunday night at the UW Field House. The Badgers dropped the first set but won the next three, 23-25, 25-20, 25-21, 25-17, to hand the Panthers their second loss of the day. Wisconsin (4-0) hit an impressive .328 (53 kills – 9 errors – 134 attempts). Dana Rettke led the Badgers with 16 kills while Molly Haggerty added another 10. The Badgers recorded a season-high 17 blocks led by middle blockers Dana Rettke and Tionna Williams with nine and eight respectively. The Badgers knocked off second-ranked Texas just one day earlier. Wisconsin sold out their second straight match of the season at 7,052 fans in attendance, which ties for fifth on UW single-match attendance list. Wisconsin has sold out the Field House 14 straight times. After tying for seventh in last year’s Big Ten Conference race, the Wisconsin volleyball team is picked to finish second in this year’s contest based on a preseason vote of league coaches. The Badgers, who were 11-9 in Big Ten play in 2017, are picked to finish second behind reigning NCAA and Big Ten Champion Nebraska. The Huskers (19-1 Big Ten record in 2017), who shared the 2017 conference championship with Penn State (19-1), are picked to win the Big Ten title this season. Minnesota (15-5) finished third last season and is picked to finish third in 2018. The Nittany Lions are ranked fourth while Illinois (12-8) is expected to finish fifth this season after tying for fifth with Purdue in 2017. The Badgers landed two players on the preseason team, including unanimous selection Dana Rettke. The 6’8 middle blocker was named the 2017 National Player of the Year by three separate organizations and was also named the 2017 Big Ten Freshman of the Year. Senior Tionna Williams, a two-time All-Big Ten selection, was also named to the preseason All-Big Ten team for the second-straight year. Wisconsin hosts its annual Red vs. White Scrimmage on Saturday at 1 p.m. in the UW Field House. The season opens on Aug. 24-25 at the Big Ten/ACC Challenge in the Target Center, the site of the 2018 NCAA Championship, in Minneapolis. The Badgers host No. 3 Texas in their home opener on Sept. 1 in the Field House. 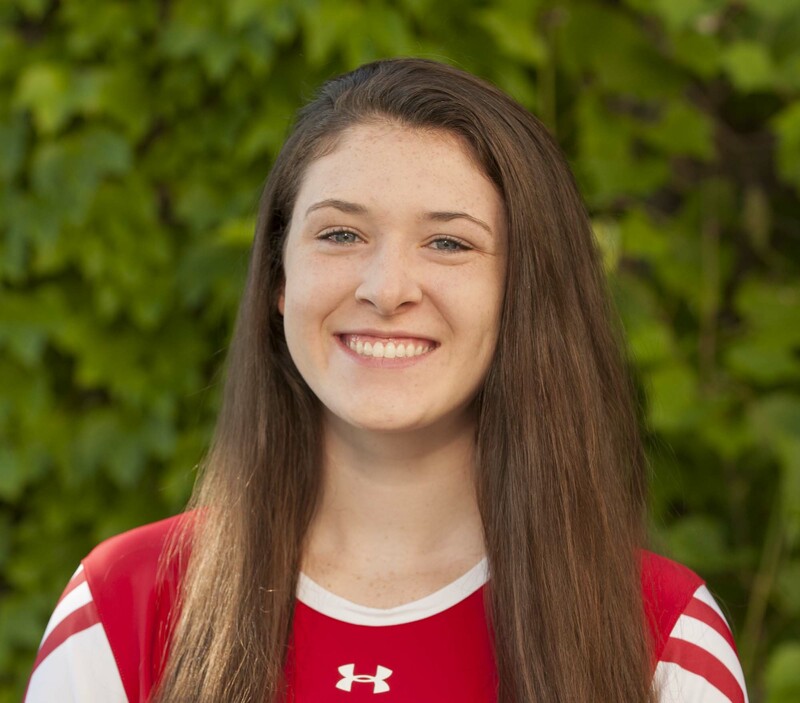 Wisconsin sophomore-to-be, Dana Rettke, has been named to the U.S. Women’s Collegiate National Team China Tour roster. It’s comprised of current collegiate players who will train and compete in China from May 20-31. Rettke was one of 12 players and three middles selected to the team. She will be making her first appearance in a USA uniform. The 6’8 Rettke was named the 2017 American Volleyball Coaches Association (AVCA) National Freshman of the Year. She was also named the AVCA Northeast Regional Freshman of the Year and the Big Ten Conference Freshman of the Year. Rettke led the Badgers and ranked third nationally with a .443 hitting percentage. She also led the team and ranked 10th in the Big Ten with a 3.42 kills per set. The freshman had a team-best 1.37 blocks per set, which ranked third in the Big Ten and 23rd nationally. Rettke also ranked second on the team with 25 service aces (0.22 per set). Wisconsin volleyball standout Dana Rettke continues to reel in the awards. Rettke became the first Badger volleyball player to be named National Freshman of the Year by the American Volleyball Coaches Association. She also becomes the first freshman in UW history to earn first-team All-America honors. In addition, junior Tionna Williams and freshman Sydney Hilley both earned honorable mention All-America honors. On the season, Rettke was named the AVCA Northeast Regional Freshman of the Year and the Big Ten Conference Freshman of the Year. She was named the Big Ten Freshman of the Week a record nine times and was a two-time Big Ten Player of the Week. Rettke led the Badgers and ranks second in the Big Ten with a .443 hitting percentage. She also led the team and ranks 10th in the conference with 3.42 kills per set. The freshman had a team-best 1.37 blocks per set, which ranks third in the Big Ten. Rettke also ranks second on the team with 25 service aces (0.22 per set). The Riverside, Illinois, native set UW season records for hitting percentage, breaking the all-time mark of .422 set by Haleigh Nelson in 2015. Rettke also set school season records under 25-point rally scoring for blocks per set (1.37) and points per set (4.39). Top-seeded Penn State and fifth-seeded Nebraska will compete in the Final Four semifinals in women’s college volleyball in Kansas City tonight. The Nittany Lions take on the Huskers at 7 p.m. (CT) tonight. The winner will advance to the National Championship match on Saturday and face the winner of tonight’s other semifinal match between Florida and Stanford. The 11th ranked Wisconsin volleyball team saw their season come to an end at the NCAA Regional semifinals, falling in four sets to defending NCAA Champion Stanford. Wisconsin (22-10 overall) won the opening set 25-22 but lost the next three. The Badgers hit an amazing .593 (19 kills – 3 errors – 27 attempts) in the first set but finished .315 (55-16-124) for the match. Freshman Grace Loberg lead the Wisconsin offense with a career-high 20 kills. Fellow freshman Dana Rettke added another 13 kills for Wisconsin. Stanford improved to 29-3 and moves on to the Regional final tonight. The Wisconsin Badger women’s volleyball team had two players named to the 2017 All-Big Ten team. A pair of middle blockers, junior Tionna Williams and freshman Dana Rettke were both named to the squad. Rettke and teammate, setter Sydney Hilley were named to the All-Freshman team. Rettke, after setting a Big Ten Conference record with nine Freshman of the Week awards, was named the Big Ten’s Freshman of the Year. The 6’8 middle blocker becomes the fifth Badger to earn the rookie honor, following teammate Molly Haggerty, who was honored in 2016. Her selection to the All-Big Ten team was unanimous. Wisconsin’s 6’8 middle blocker Dana Rettke has captured Big Ten Player of the Week honors for a record eighth time this year. The 6’8 middle blocker recorded a match-high 14 hills at Indiana last Friday and a team-high 11 kills at Purdue on Saturday. Rettke averaged 4.17 kills per set while hitting .465 (25 kills – 5 errors – 43) on the weekend. On the season, Rettke leads the Badgers with a .437 hitting percentage, which ranks second in the Big Ten. She has a team-best 1.39 blocks per set, which ranks fourth in the conference. She also had a team-best 3.38 kills and 0.27 service aces per set. Until this season, the most awards received in a season was six, set by Minnesota’s Samantha Seliger-Swenson in 2015. No. 13 Wisconsin (17-8, 8-8 BIG) wraps up the road portion of the Big Ten season with two matches this weekend. The Badgers travel to Illinois (18-9, 9-7) on Friday for a 7 p.m. match in Champaign, Illinois. Wisconsin takes on Northwestern (14-14, 4-12) for the second time this season on Sunday. The two teams will play in Evanston, Illinois at 1 p.m. 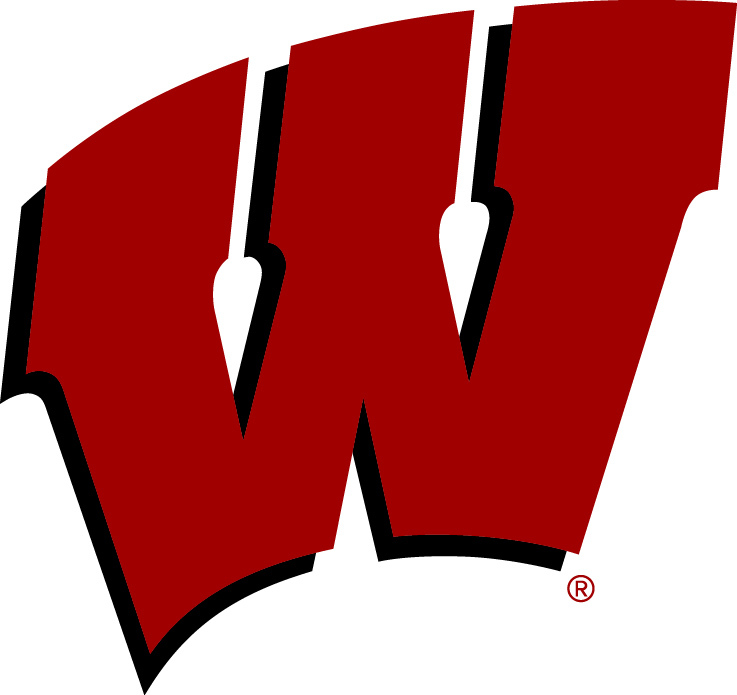 The ninth-ranked Wisconsin volleyball team fell to No. 1 Penn State on Wednesday night, falling to the Nittany Lions, 25-19, 25-22, 23-25, 25-16, in Rec Hall. Middle blocker Dana Rettke led all players with 17 kills while adding four blocks and a service ace. Fellow middle blocker Tionna Williams notched 10 kills and five blocks. Penn State (20-1 overall, 10-1 Big Ten) outhit Wisconsin (14-6, 5-6), hitting .241 (54 kills – 19 errors – 145 attempts) while holding UW to .207 (55-24-150). Sophomore Tiffany Clark and senior Kelli Bates earned 20 and 15 digs, respectively, helping UW earn the backcourt advantage, 67-62. The Nittany Lions put up 14 blocks to Wisconsin’s nine. Setter Sydney Hilley and Williams lead the team with five stuffs each. The Badgers return to the UW Field House on Saturday for a match with Northwestern at 7 p.m.
Rettke named Big Ten freshman of the week again! The Big Ten Conference has named Wisconsin freshman middle blocker Dana Rettke the league’s Freshman of the Week for the fourth time this season. Rettke led the Badges with 12 kills at Iowa while hitting .600 (12 kills – 0 errors – 20 attempts). She added 11 kills at Nebraska on Sunday to average 2.88 kills per set on the weekend. The freshman had a team-high four blocks at Iowa and six blocks at Nebraska to average 1.25 blocks per set. Rettke continues to improve her service, adding three aces on the weekend to average 0.38 aces per set. For the season, the Riverside, Illinois, native has a team-best 68 blocks to average 1.55 blocks per set, ranking 11th in the nation. The 7th ranked Badgers (11-2, 2-2 BIG) hosts No. 6 Minnesota (13-2, 2-2) on Wednesday night at the Field House, then travels to No. 14 Michigan State (11-2, 4-0) on Saturday.